Micromax is one of the companies which have always satisfied consumers in manufacturing the largest handset. 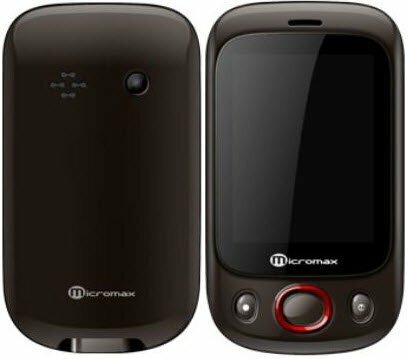 Now the company has launched another Low Price Micromax X222 touchscreen mobile phone. Micromax X222 is especially designed to target Entry level customers and the phone comes with all basic features. The Phone sports 2.4-inch touchscreen display and basic features like music, video player, VGA camera and expandable memory. It also has features of Dual SIM mobile with 2 GSM SIM support. Micromax X222 will compete with the compact touchscreen mobile, the phone has Samsung Champ but phone seem to be somewhat slippery from your hand while using. Micromax X222 has some good features like FM Radio, Blue-tooth, Multi format Audio Player (MP3, WAV, AMR),Video Player, Expandable memory up-to 8GB with Micro SD card. It also features GPRS facility which allow customer to use Internet. The Phone is equipped with 900mAh standard Li-ion battery which provides a Talk Time up-to 6 hours and Standby Time up-to 157 hours. Micromax X222 looks amazing and it is a very cheap phone which is targeted to youth. The phone has got some good features for that price. You can buy Micromax X222 if you are looking for cheep and best phone. This budget handset does not have very good camera. The phone does not have front camera for video calling. The phone designs looks bit slippery. The new Micromax X222 is affordable at the price of Rs 1,900 which is targeted at the youth. This phone is available on all leading handset dealers across India. Same problem, What can I do?